Category Archives: Super Nova Cast! Check out Dave, Jon and Austin talking about all sorts of video games on the latest Super NovaCast! Join Austin, Dave, Dave, and Jon in the 17th episode of SuperNova Cast! -Happy Gaming If you prefer, here is the embedded audio version with all of our music and interview with the Epigenesis team. Mark, Jon, Dave and Austin talk about all things video games in the latest edition of the Super NovaCast. Mark joins the Super NovaCast crew again to talk about Hearthstone, Broken Age, Battlefield 4 and more. Super NovaCast – Episode 14 Dave, Austin and Jon get together to talk about the latest in gaming, plus discuss the upcoming year now that 2014 has arrived. Join us for our Game of the Year & Awards for 2013! Austin, Jon and Mark make some time before the Christmas rush to talk about Xbox One, MMOs and more! This is episode 12 of the SuperNova Cast – our Game of the Year coverage starts after Christmas! Look directly into the eye of the tiger, we’re back with more SuperNova Cast! Austin, Dave, DAVE and Jon form the legs and arms of Voltron and talk about Hearthstone, Xbox One, Link Between Worlds and the week of apologetic developers. Check it! We’re back! SuperNova Cast Episode 10! Here’s some news you may have missed this week, and we’ve got you covered with a short dose of audio goodness in the form of our News Roundup. 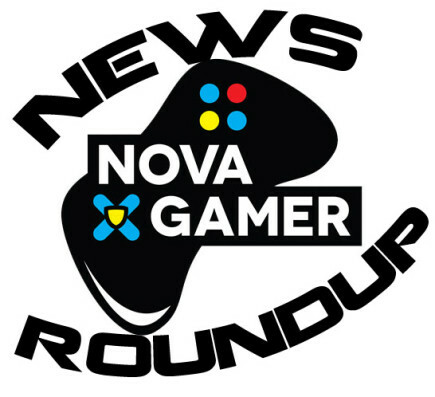 Send your feedback, or news articles to austin@novagamer.net Don’t forget to check our ExtraLife campaign, as we are only a few days away!